So I’ve mentioned that I’ve been working on a new blog, with a new name, etc. Well I’m ready to unveil it! You can check out the About Me tab to learn more about the name and all that. I’ll have my first post up there tomorrow morning, so please update Google Reader (or whatever method you use), blogroll, etc. There is also a way to subscribe via email (left sidebar) or RSS feed, and you can also “like” my new Facebook page and you could even dare to follow me on Twitter! <— I’m not going to lie, I have no clue what I’m doing on there, but it should be fun figuring it all out! Thank you so much for the support/encouragement about making the blog changes. I’m pretty excited to really get into it! I decided to take yesterday off of blogging – the weekend was crazy busy and I needed to just relax. I did finally get caught up on my blog reading though. My Google Reader fills up pretty quickly, it is crazy! 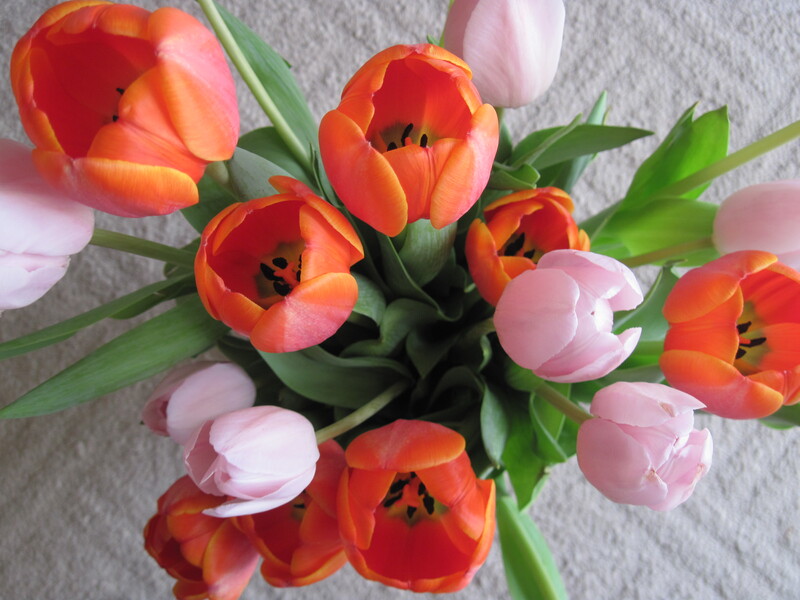 I spent most of Saturday with my sister-in-law and my niece – I stayed over at their house and we had so much fun! 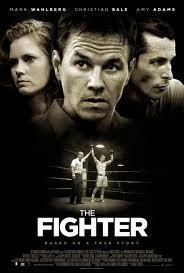 We made sloppy joes, brownies and watched The Fighter – which I absolutely loved! We also may or may not have watched an entire Jersey Shore marathon that was on Saturday and Sunday. On Sunday I met up with a friend who I have not seen in over a year – which is crazy since she lives ½ hour away. We’ve known each other since 4th grade and I’m so glad we have stayed in touch. We met for coffee tea and I told Jason to not expect me home for at least 3 hours. Well, I should have said 6 hours. Yes, SIX hours we sat in that coffee shop and talked. And I’m pretty sure if the coffee shop wasn’t closing we would have stayed longer! For dinner last night, I finally got around to making a recipe that was been creeping around in my head. I saw a recipe on Matt’s blog a few weeks ago for a Hummus and Avocado Crab Salad and it sounded amazing. 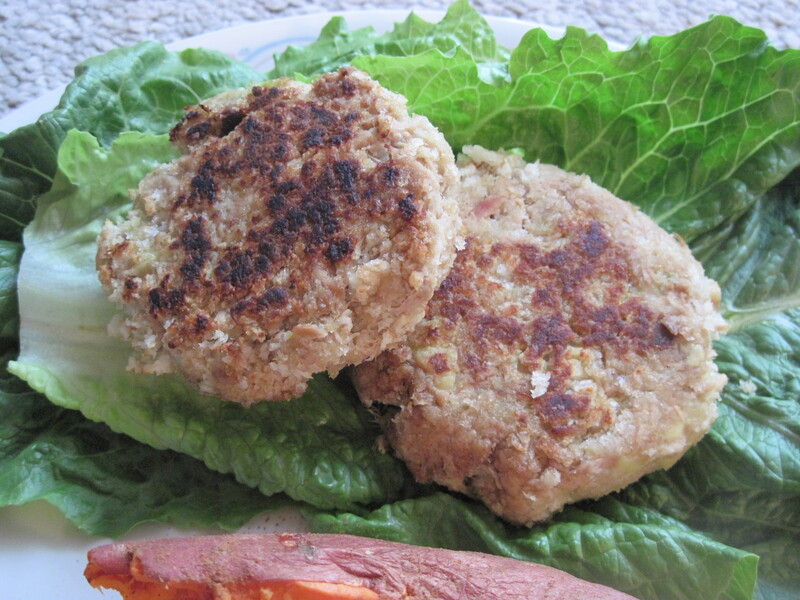 I decided to use his recipe and make crab cakes – except I had tuna on hand so I made Tuna Avocado Cakes! Combine 2 cans drained tuna (5 oz cans) with 1 mashed avocado (use 1 medium or 2 small) — add salt, pepper, splash of lemon or lime juice. Mix together with 1/2 cup panko bread crumbs and form into 4 patties. Cook over medium high heat in a saucepan (coat with cooking spray or use a small amount of oil) — about 3 minutes each side. I thought these tasted delicious — there isn’t a strong avocado flavor, but it gives the cakes nice texture. 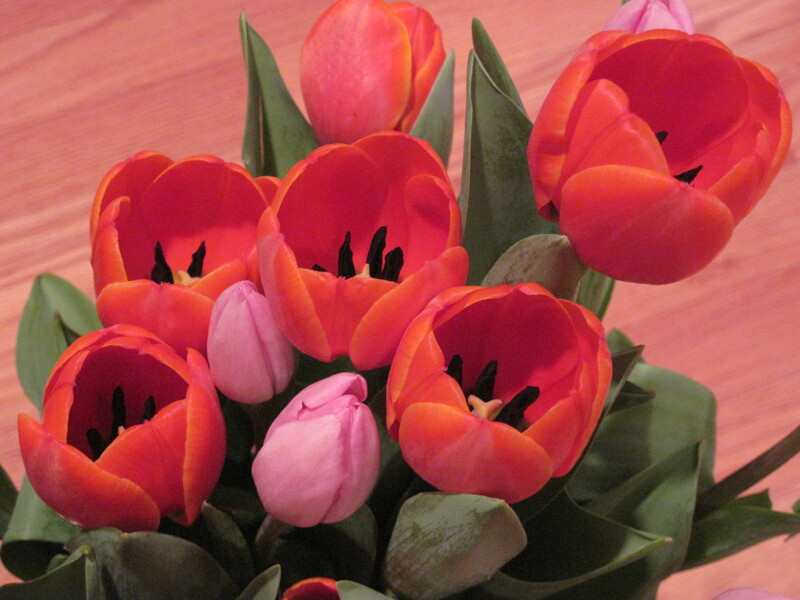 These went perfect with dinner – thanks for the inspiration Matt! 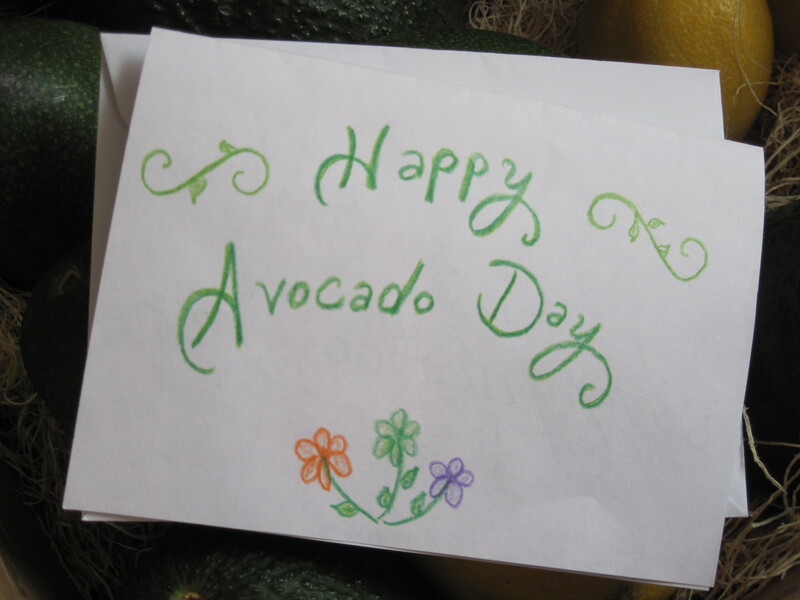 I originally wanted to use these avocados for this idea, but I had to wait until they were ripe. 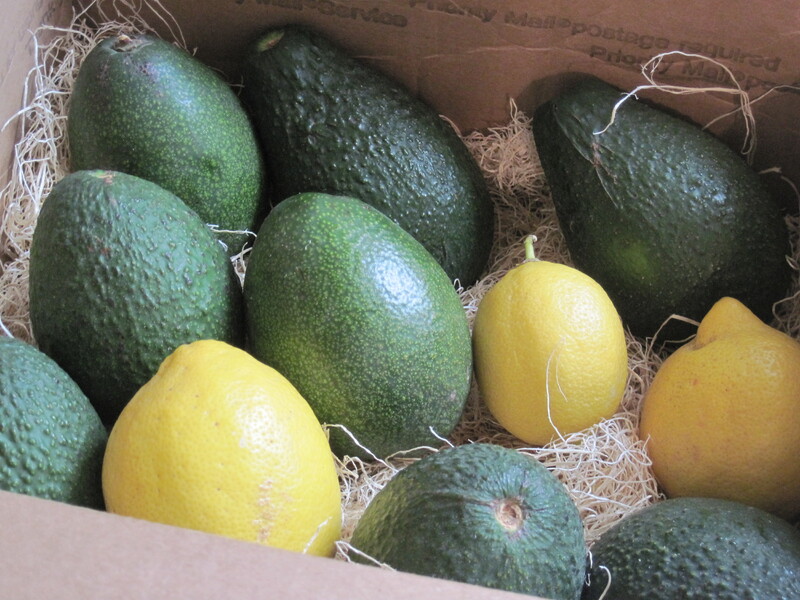 They have an Avocado of the Month Club that Jason and I are thinking of joining — 20 Avocados delivered per month for $30 — these babies are HUGE and I think are definitely worth that price. Please email me at couchpotatoathlete (at) gmail.com — and let me know some of your favorite food items, magazines, etc. I’ll choose a few things and throw them in with your book. Thanks to all who entered! Today is the last day to enter my giveaway – you have until 10pm CST tonight – winner will be announced tomorrow! Jason is actually publishing this post for me – I am away at our Sister-in-Law’s house for the rest of the weekend. I know there is a way to set up an auto-publish in WordPress but I was short on time, so I showed Jason where the powerful Publish button is and asked him to do it for me. 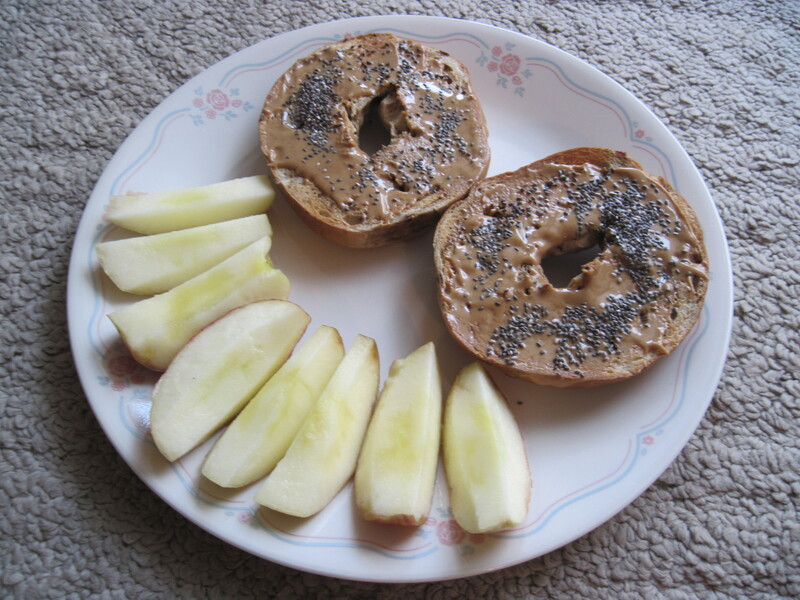 I chose to have a bagel with peanut butter and chia seeds on top and a sliced apple. 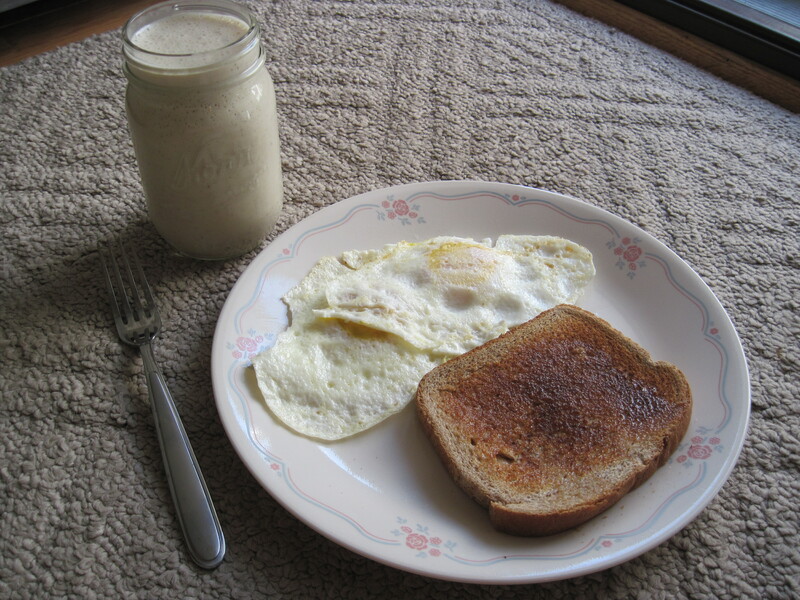 This is my go-to breakfast before longer runs. It fills me up without weighing me down. I waited about 30 minutes and then I ran out the door! Yes that means I ran outside – no more treadmill for the long runs. I just couldn’t bear the thought. And it was pretty nice out! At about 9am (when I started my run) it was maybe 25 degrees? But the sun was shining so I felt pretty good. 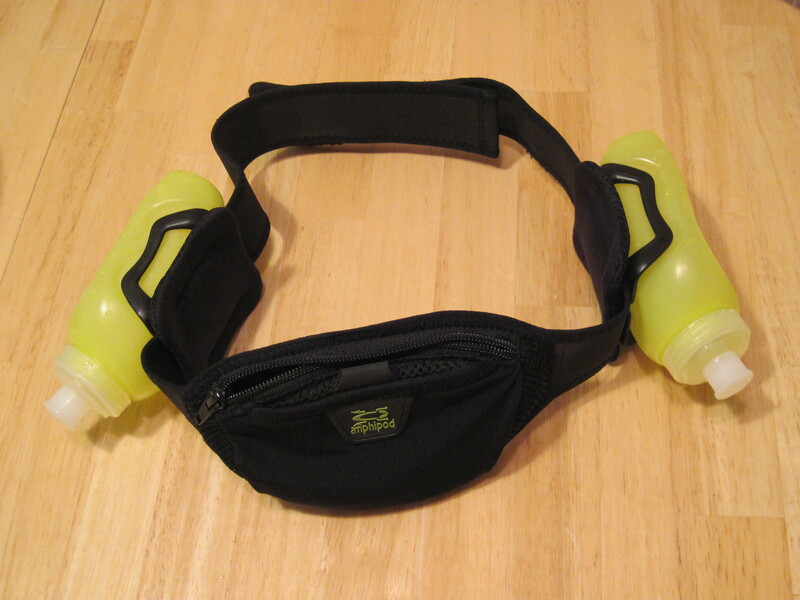 I keep tissues, chapstick and sport beans in the pouch, water in one bottle and Gatorade in the other. It took me a while to get used to having it on me, but now it doesn’t bother me at all. During my run I drank everything and the sport beans give me an extra boost when I need it. I love those! This is a great tool for me. I don’t have a Garmin or anything to keep track of the distance I am running, so I have to figure it out beforehand. Map My Run is easy to use and it is free! 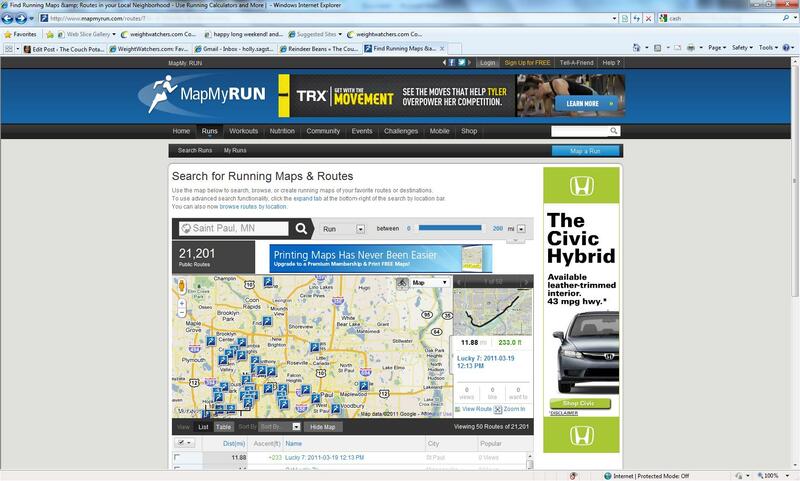 Plus you can search for mapped runs in your area — I have never used any of these though. I think there is a subscription service (where you can save runs, etc) but I don’t know if that is free or not. So I figured out how far I needed to run so that I was 6 miles away from home, then I turned around and came back. 12 miles took me about 2 hours, which is on track for how I have been running so far. I was just happy to be done! The hardest part was the last two miles – I knew how close I was to home and yet I still felt so far away! I came home and iced my knees (just in case! ), foam-rolled and then made myself some FOOD! Delicious! After showering I took a little snooze and I felt incredible for the rest of the day! 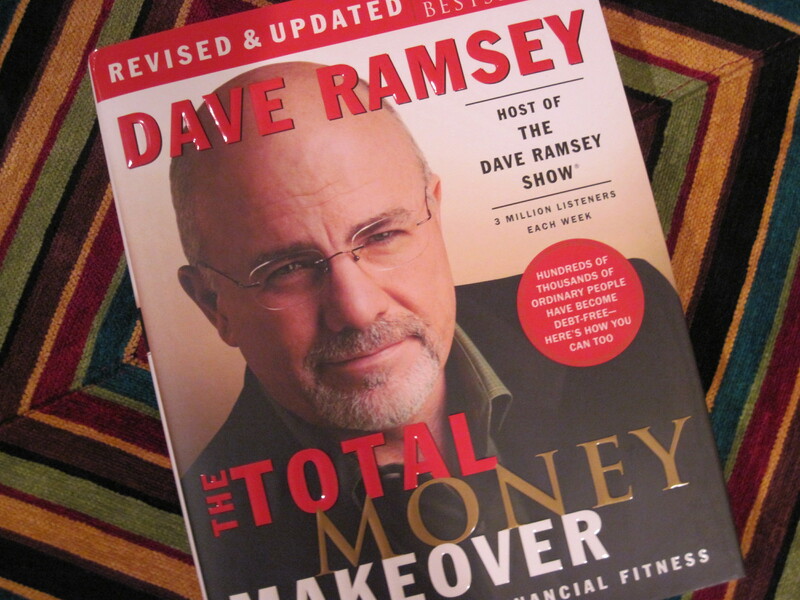 *Don’t forget to enter my book giveaway* Not my book, but you know what I mean. The weekend is finally here! I feel like this week has gone by very slowly. 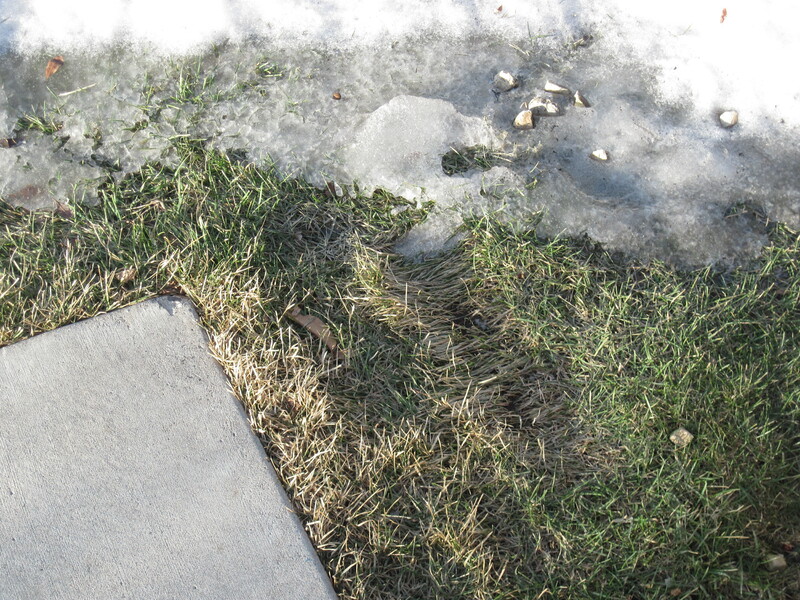 Maybe it is the MN Spring weather (finally here!) that made the week drag on? I’ve got 12 miles planned for today and I honestly can’t wait to get out there! The trails near our house are really nice and it will be such a change from being cooped up at the gym! Last night for dinner I made a recipe that my Dad gave me! 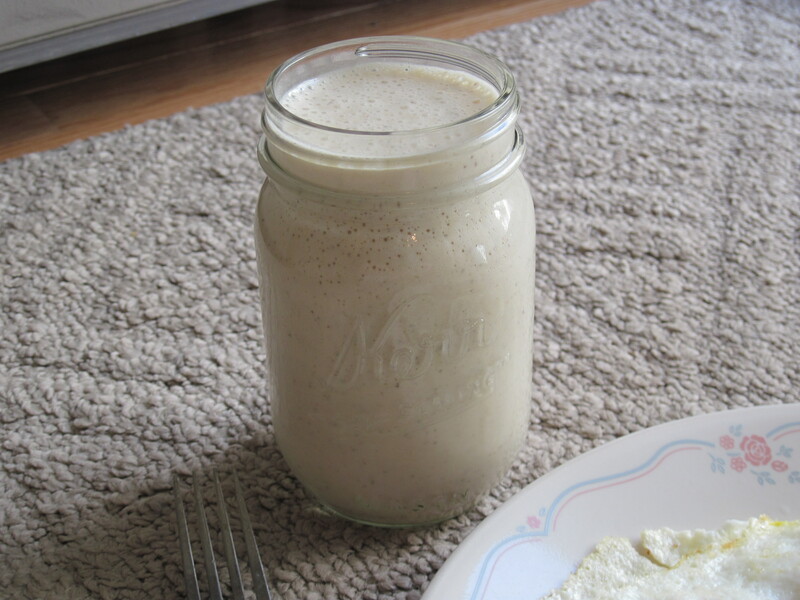 He made it for us last weekend and it was so delicious – and super easy to make too. It makes a ton of food as well which is great, since now we don’t have to do much cooking over the weekend. Saute chopped bell pepper and onion until tender. Add beef and cook until browned. Meanwhile, in a crockpot, add the tomatoes, baked beans, BBQ sauce and vinegar. Once meat/veggies are done, add to crockpot and cook on high for about an hour, until well heated. 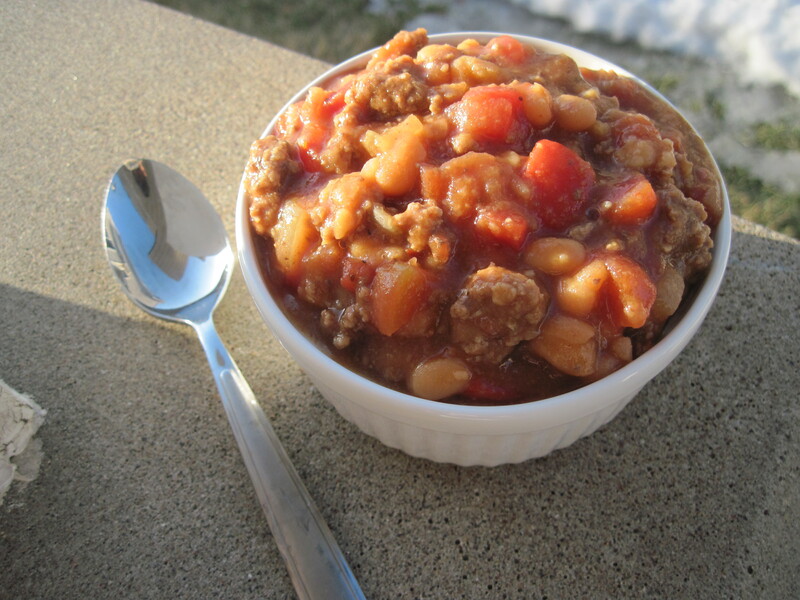 You could also just add the tomatoes/beans to the pan with the beef – but my pan is not big enough for that. 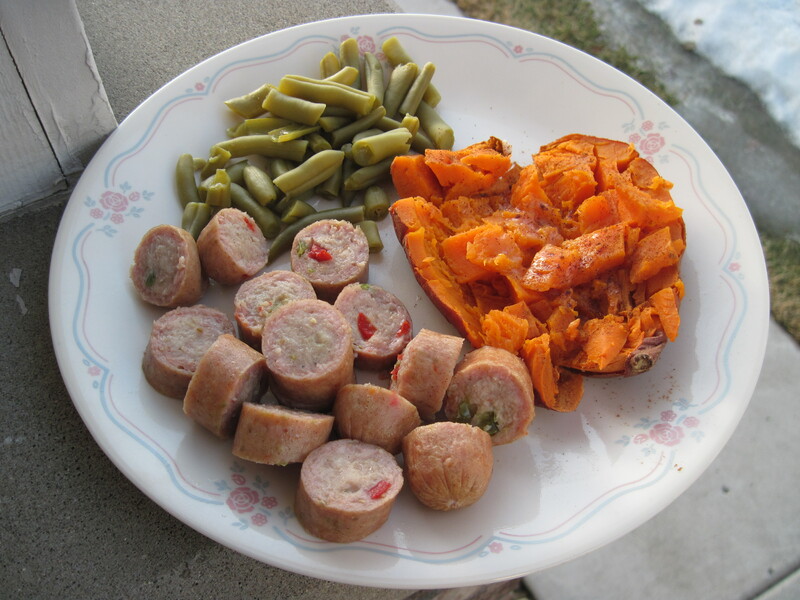 This recipe was really simple to throw together, and you could easily add more chopped veggies (carrots and celery would be good) or you could skip the meat altogether and add more beans). It would taste delicious with some chopped avocado on top, or some shredded cheese. We had neither and it was still good! Ok I’m off for my run – have a nice weekend! 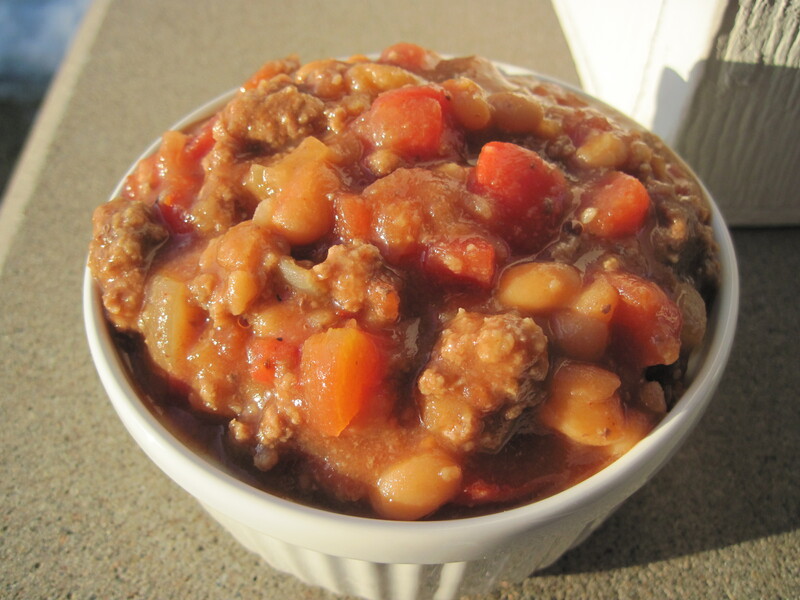 *What is your favorite crockpot dish? Feel free to leave a link! *What are your plans for the weekend? Did you have a nice St. Patrick’s Day? March 17th, 2007 was actually Jason’s and my first date! We had met a few weeks prior at the police station – I had just joined the police reserves where Jason had been volunteering for years. We all went out for dinner, Jason and I hit it off (we actually both went to the same small high school and he was in my older sister’s class) and starting talking off and on for a few weeks. We finally went out on St. Patrick’s Day and as they say, the rest is history! We decided to stay home and have a low-key evening. I love sweet potatoes. Seriously they may be my favorite food. I could eat one with every meal. 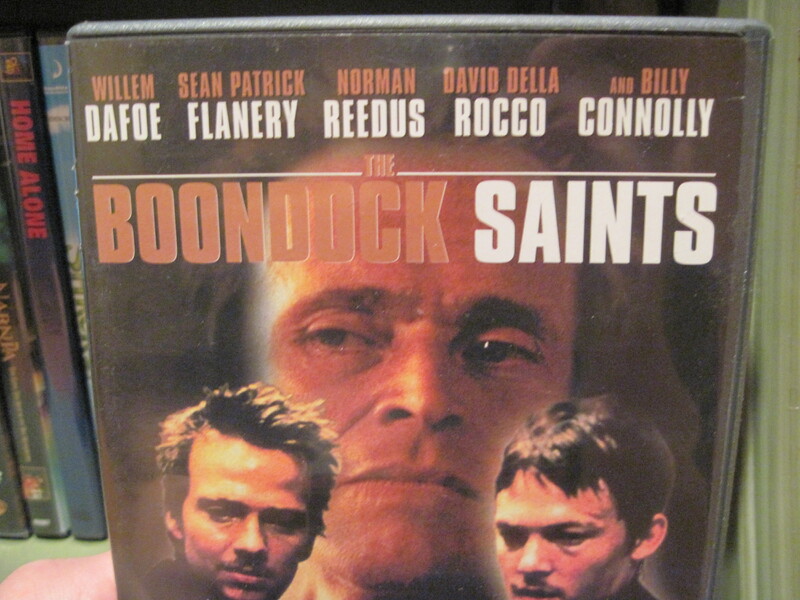 Jason always suggests that we watch The Boondock Saints on St. Patrick’s Day but I always say no. Have you seen this movie? I actually watched it for the first time over our honeymoon and thought it was ok and kind of lame. Is it just a guy thing? No clue. Since it was St. Patrick’s Day, we did have some beer. 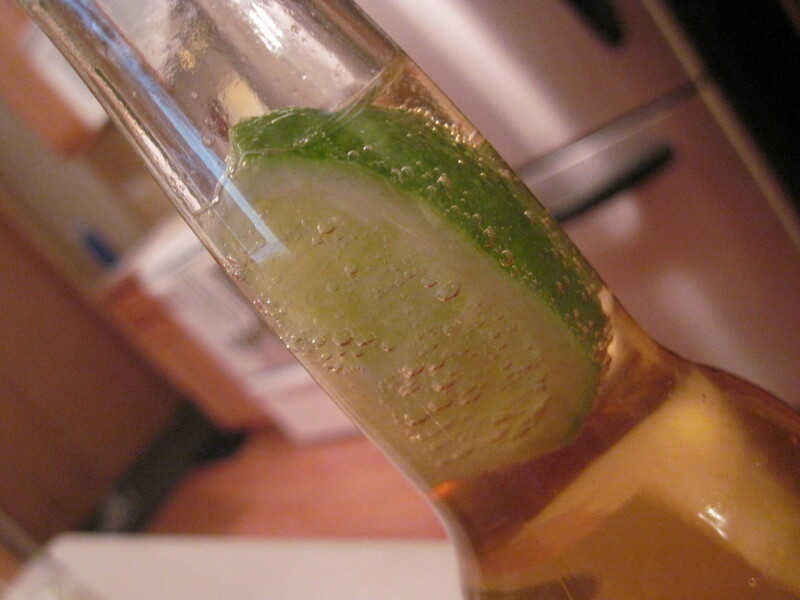 We had Corona, since that is what we had in the fridge. I figure it is beer, so it works, right? 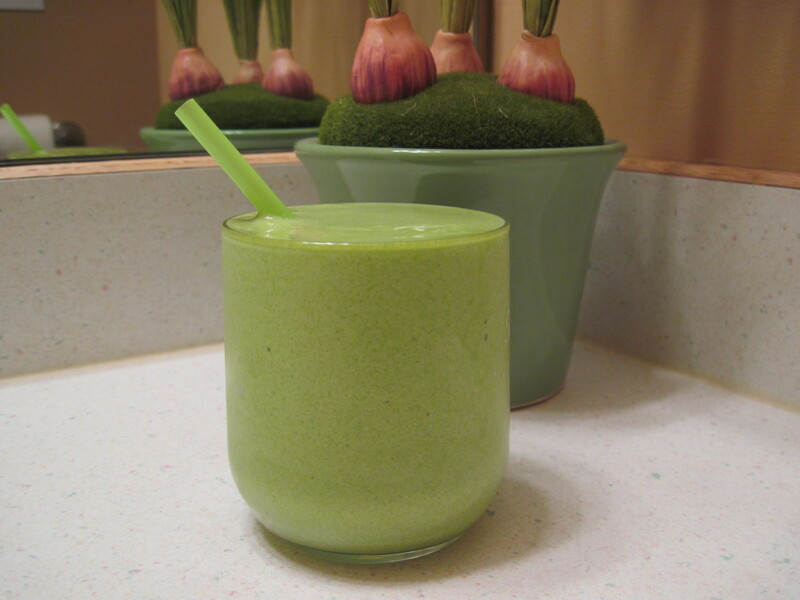 And the lime is green so it works out great for St. Patrick’s Day! Workout: Run 3 miles – completed in about 28 minutes! I’m getting pretty excited about my 12 miler on Saturday! *Did you do anything fun yesterday? Did you have green beer? *Please tell me I’m not the only one who doesn’t like Boondock Saints. *Anything fun going on this weekend? Thanks again for the nice comments about my debt posts – although I wish that no one else had debt like we did, it is somewhat comforting to know that we weren’t alone in those struggles. So I’m giving away 3 copies to 3 different winners! I’m also going to throw in some good foodie stuff as well – bars, tea, nut butter, chocolate, etc. Once I choose the winners I’ll ask them for some ideas on what they like! 1. Leave me a comment with what your next financial goal is. 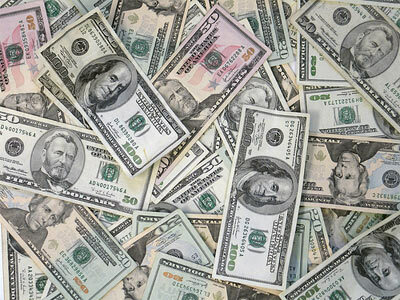 It could be to pay off a credit card, to save more, start a retirement account, etc. 2. Blog about this giveaway/link back to this post and let me know you did so. This giveaway ends at 10:00PM CST on Sunday March 20, 2011. I will announce the winner on March 21st! You do not have to have a blog to enter/win. However, this giveaway is open to US residents only. I hope you have enjoyed my posts from the past few days — it is an overwhelming amount of information, but I hope you learned something! I have wanted to write about this topic for months now, but I never knew how to fit it in with the rest of my blog. I usually write about my marathon training, or trying new recipes, or books I have read, etc. But I think part of healthy living is taking care of stress, and guess what — when we had tons of debt we were STRESSED OUT! We can relax more, now that the credit card debt is gone. We aren’t debt-free now, but we have a plan and we are on our way — and that relieves most of my stress. Cathy brought up a good point yesterday, which was about using CASH. I have been running and I’ve been feeling GREAT — Tuesday I had a short 3 mile run and I finished in about 28 minutes. 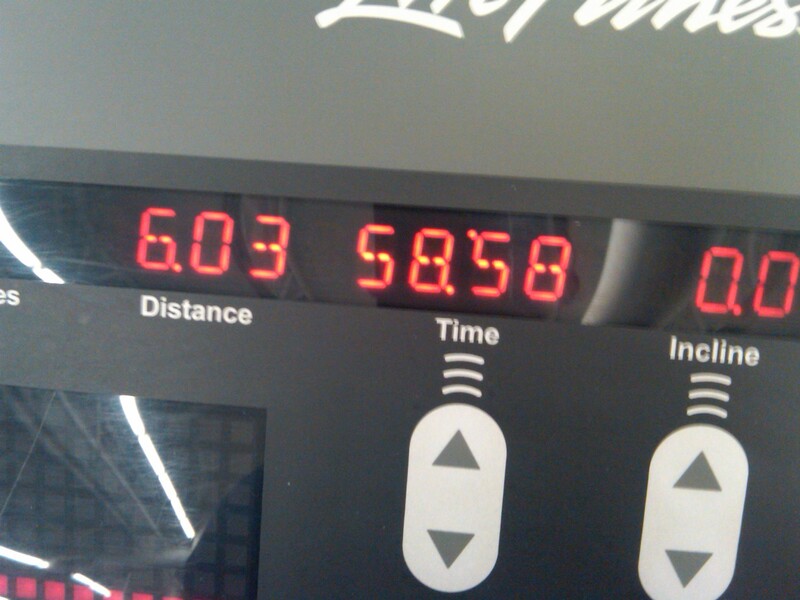 I played with the speed on the treadmill and that made the time go by so quickly. I want to start switching up the incline, but I’m worried that my knee will start hurting again, so I’m going to continue to run on flat surfaces this week. Next week I should be able to run outside (hopefully!!!) or I’ll start upping the incline. 1/4 tsp peppermint extract — I will use 1/8 tsp next time since this one was really minty! He loved watching Top Chef with us! *What are you doing for St. Patty’s Day? Today is actually the anniversary of our first date — 4 years ago! I’m still not sure what our plans are.